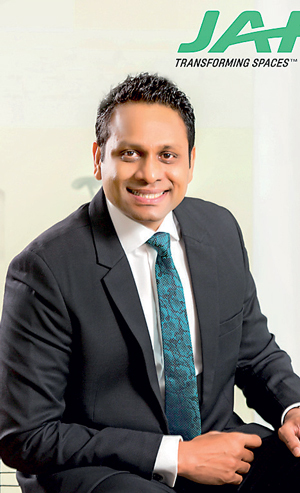 JAT Holdings announced its new corporate identity to reinforce its leadership position in the Sri Lankan market and support the company’s long-term growth strategy by increasing awareness, appealing to new markets, and broadening its international reach. The rebranding represents JAT’s successful and on-going transition well beyond its paints and coatings heritage into an integrated end-to-end solutions provider that utilises design and construction to create and transform spaces in both domestic as well as corporate spheres. The new logo combines the “A+” mark of excellence within the word mark, symbolising the Company’s excellence in reputation and dynamism in leadership in the categories and segments it is synonymous with. The tagline, “Transforming Spaces,” communicates the brand’s capability and commitment to improve its customers’ lives through space efficiency and productivity, ergonomic practicality and visual delight. From innovative wood coatings to fire-retardant paints to the finest fit-for-purpose furniture and accessories, through final construction of the physical space, JAT makes environments more beautiful, functional and livable,” said Gunawardene. The brand’s aggressive new marketing approach includes sharpening its strong sales and distribution capabilities in Sri Lanka, India, Pakistan and Bangladesh. JAT Holdings was founded in 1993 and has increased its portfolio during the past 12 years to include global brand leaders such as Sayerlack, Crown Paints, Permoglaze, Norton, Armstrong, Herman Miller, and Alno. In 2000, JAT transformed the wood coatings industry in Sri Lanka and South Asia by introducing water based solutions, creating an entirely new segment in the category which it continues to dominate with 75 percent market share.